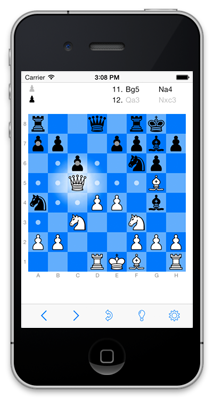 tChess Lite is perfect for anyone who wants an iPhone chess game that's fun and easy to use. tChess Lite has the same appealing design as tChess Pro, and is powered by a strong chess engine that's tuned for casual play. You can use it as a beautiful travel chess set to play against a friend when you're on the move, or play a challenging game against the computer.